Okay so I decided that seeming that it is coming up to the end of this year.. As terrifying as that is, that I would share with you guys my favourite books that I read this year. Quick disclaimer: These books did not all come out this year, I am well aware of that, but this is just a list of the books that I happened to read this year that stood out to me. Also, these books are in no particular order. 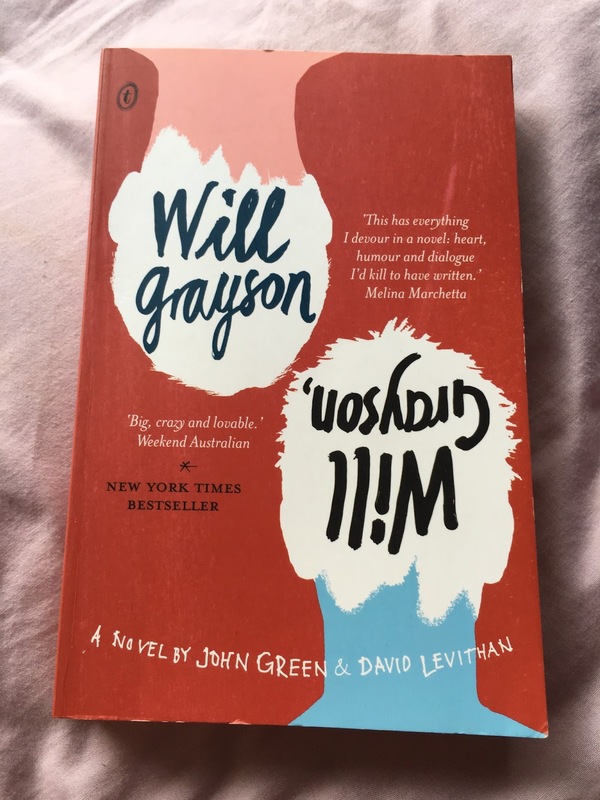 One night in Chicago, two guys - both named Will Grayson - cross paths. This book was just incredible! John Green and David Levithan are by far two of my favourite authors, this book completed my journey of reading every single John Green book that exists and started my journey of reading every single David Levithan one (which is still underway). I fell in love with all of the characters of this book, from the confused and disoriented Will Grayson to the depressed and struggling Will Grayson and everyone in between. Definitely one of my faves of this year, and of John Green's books in general. I ended up sitting down and reading the entire book (all 310 pages) in about two days, total reading binge that was and I LOVED EVERY PAGE! 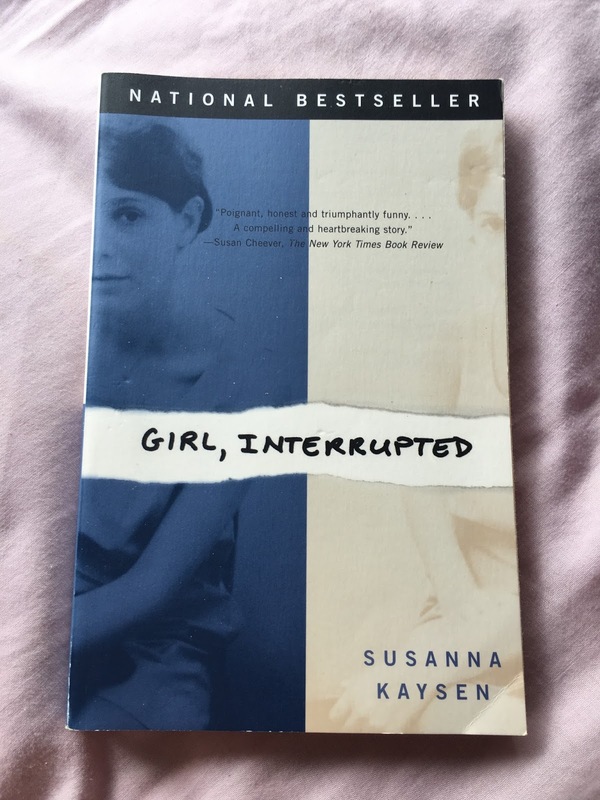 In 1967, after a session with a psychiatrist she'd never seen before, eighteen year old Susanna Kaysen was put in a taxi and sent to McLean Hospital. She spend most of the next two years in the ward for teenage girls at a psychiatric hospital as renowned for its famous clientele - Sylvia Plat, Robert Lowell, James Taylor, and Ray Charles - as for its progressive methods of treating those who could afford its sanctuary. Kaysen's memoir encompasses horror and razor-edged perception while providing vivid portraits of her fellow patients and heir keepers. It is a brilliant evocation of a "parallel universe" set within the kaleidoscopically shifting landscape of the late sixties. 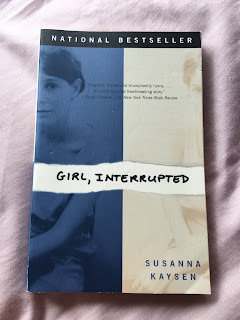 Girl, Interrupted is a clear-sighted, unflinching document that gives lasting and specific dimension to our definitions of sane and insane, mental illness and recovery. Well, I can't say anything any better than that blurb did to be honest, so I won't say too much. But Girl, Interrupted has been one of my favourite movies for years, to anyone that hasn't seen it, Winona Ryder and Angelina Jolie star and it's just brutal and honest and even quite funny at points and I would definitely recommend it! Although, if you are easily triggered, then maybe it's not the best idea as I found it was very triggering for me the first time I watched it. I had been searching for the book for about a year and my boyfriend ended up tracking it down for me (10000000 boyfriend points to him) and it did not disappoint! 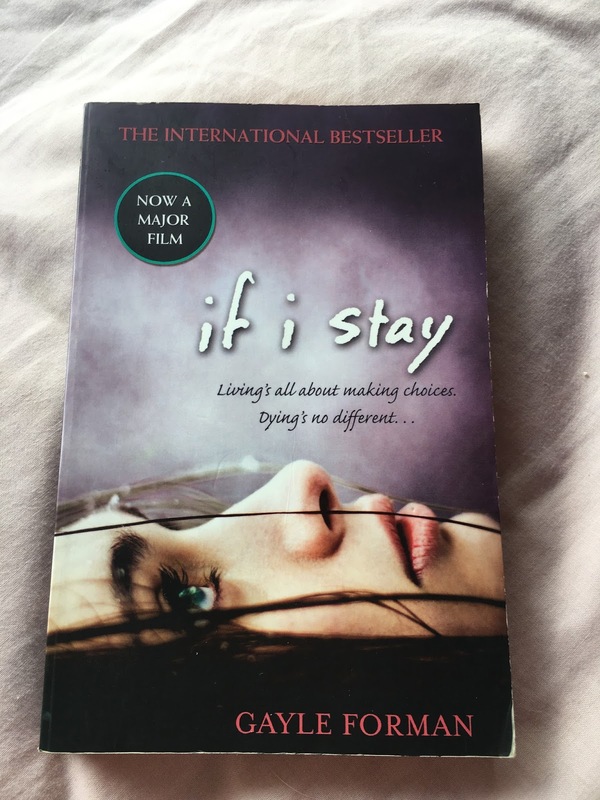 Amazing book, amazing movie and would recommend it for anyone interested in mental health. And suddenly all of Mia's choices are gone. This book I've been tossing up whether to include in here or not. I still haven't really decided, and this is about 3 months after reading it, whether or not I actually like this book. It's an incredibly interesting idea, that this girl is basically stuck in limbo, all of her family are dead and she needs to decide whether or not she is going to stay or go. I won't give anything away at all, but I loved the concept behind this book, but I wasn't a massive fan of, I don't even really know what, the writing I guess. I didn't really feel as connected to the main character as I have in most other good books that I read, so that through me a lot. But why I included it in here is that the events that go on within the pages and the whole idea behind it is one that I just think is incredible and I definitely think you guys should go and check it out. Also, if you're thinking that you may have heard of it, a movie adaptation has recently come out starring Chloë Grace Moretz, so if you guys are a bit skeptical of the book maybe go check out the film. I have seen it and I thought it was a really solid adaptation and I liked it a lot. I don't know about you guys but I know as soon as I read the blurb of this book I was instantly intrigued, and for good reason. I picked this book up at the bookshop across the street from my university one day when I had a few hours to kill before my boyfriend finished class so that we could go see a movie. It was the first book I picked up when I entered the shop, and immediately after reading the blurb I was sold. I started reading it as soon as I bought it and finished about a week later, reading in basically every minute that I possibly could. This book is definitely one of my favourites, not only that I read this year, but that I've ever read. I can't say enough good things about it. I won't give a lot away but it's centred around the main character, Matthew (written in first person) as he slowly declines into a dark schizophrenic state after the death of his special needs brother, Simon. It is haunting and incredibly intense, but it is written so honestly and so rawly (if that's even a word) that I just loved it. Nathan Filer is an incredible author and to give some background as to why this book is so honest and has such incredible insight into such a horrible disease, the author is a mental health nurse and has said to have based the Matthew's character off a few real life schizophrenics that he has come across. Sorry guys, I really couldn't choose one here so I ended up going with 4. 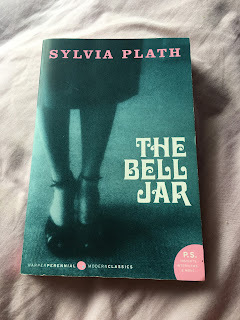 The Bell Jar chronicles the crack-up of Esther Greenwood: brilliant, beautiful, enormously talented, and successful, but slowly going under - maybe for the last time. Sylvia Plath masterfully draws the reader into Ether's breakdown with such intensity that Esther's insanity becomes completely real and even rational, as probably and accessible an experience as going to the movies. 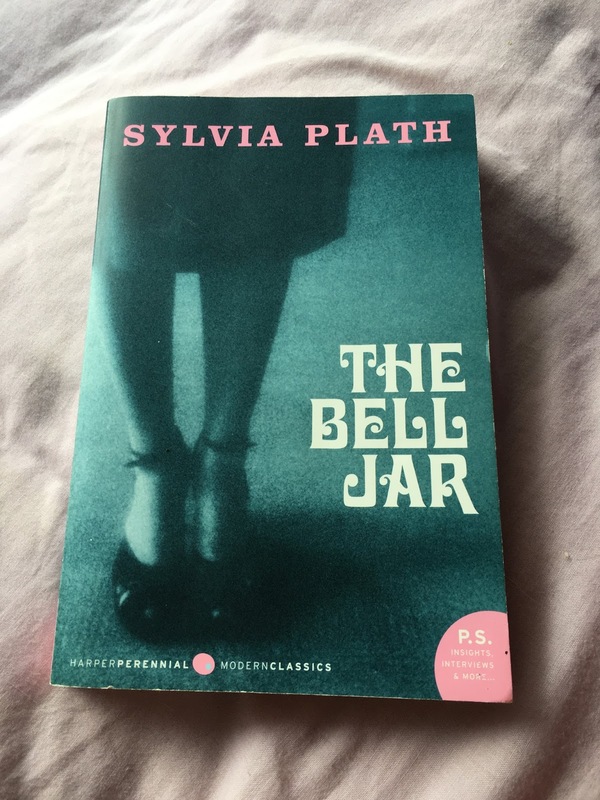 Such deep penetration into the dark and harrowing corners of the psyche is an extraordinary accomplishment and has made The Bell Jar a haunting American classic. Okay so this one I may have cheated on a little bit. I didn't read The Bell Jar for the first time this year, although I did read it this year so I say it still counts. This is by far my all time favourite book, to emphasise just how much I love it to you guys, I have a tattoo on my ankle that says 'I am, I am, I am.' which is a recurrent quote throughout this book. I first read this book in 2012 at the recommendation of my VCE Literature teacher and I could not be more grateful that I took his advice and read this incredible book. Like for the blurb for Girl, Interrupted, I can't really say anything more than the blurb says except to say that this book changed my life. It changed the way I perceive a lot of things in the world, as well as my own mental illness and I can't even tell you how much it's helped me and shaped the person I am today. 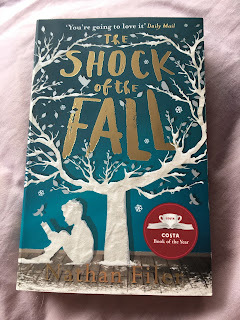 It will probably always be popping up in all of my book favourite posts and I don't apologise for that, because if I can just get one person to read this book and for it to affect them even half as much as it affected me, then my work here is done. So that's it guys, those are my top books that I read this year. Please please please let me know in the comments if you've read any of these books, if you have any recommendations for me or if I inspired you to go and read any of these. I'm always keen to hear from you guys. Thanks for reading everyone, hope you enjoyed it.